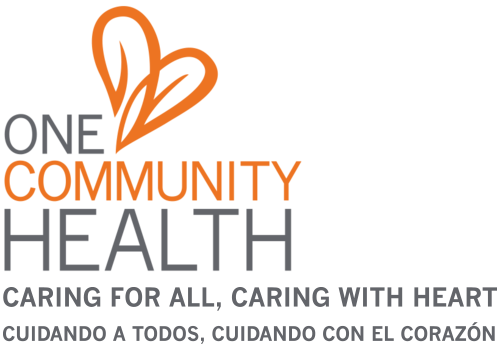 One Community Health has the honor of being the continuity site for the Providence Hood River Rural Residency Program. Our resident doctors have all completed four years of medical school and have chosen to specialize in family medicine. Their continued training consists of three years in Hood River and Portland where they learn to take care of patients of all ages—everything from taking care of pregnant women to delivering babies, caring for newborns, children and adults, plus providing end-of-life care. At One Community Health, these residents serve as primary care physicians under the supervision of our experienced doctors. The Providence Rural Family Medicine Residency Program was founded by Dr. Robert Gobbo, one of One Community Health’s veteran clinicians. In addition to his clinical duties with us and at Providence Hood River Memorial Hospital, Dr. Gobbo is the residency director, supervising the trainees in clinic and in the hospital. Joji is a second year resident in Hood River. He was born and raised in Tacoma, WA and went to medical school in Chicago at Rush University where he had the opportunity to work with immigrant rights advocates and anti-racist initiatives in the city. He chose to pursue family medicine due to his broad ranging interests in obstetrics, musculoskeletal medicine, and adolescent medicine. Some of his other life pursuits include capoeira, kizomba, and other lusophone culture. He speaks Spanish, Portuguese, Japanese, and Korean. He sees medicine as a direct way to combat systemic racism and poverty that afflict oppressed communities. He chose Hood River Family Medicine because of the intimate feel of the program, the commitment to social justice and spirit of independence evinced by the senior residents and faculty. Morgan grew up in rural Trinidad, Colorado and graduated from the University of Colorado Boulder with a degree in Integrative Physiology. She attended Ross University School of Medicine in Dominica, West Indies. Prior to medical school, she lived in Quetzaltenango, Guatemala where she participated in the Somos Hermanos Student Immersion Program during which she became fluent in Spanish. She is passionate about women’s health, rural medicine, and the social determinants of health. Beyond medicine, she enjoys spending time in nature, coming up with plots for science fiction movies with her husband, and writing short stories and satire. As a fourth generation Oregonian, Carly has family history across the state which connects her to the varied country of the Northwest. Although a rare native Portlander, she lived abroad and experienced diverse beliefs, traditions, and people. She combined her love of healing with learning about other cultures by volunteering with migrant outreach programs and free health clinics beginning as a teenager. The Hood River family medicine residency program's emphasis on rural and underserved care was a perfect fit for furthering this interest. She is excited to develop lasting relationships with patients to work toward better health for both the individual and community. Outside of medicine, Carly enjoys spending time with her family and friends (to whom she is incredibly grateful for their endless love and support), being active (skiing, hiking, biking, horseback riding, and hopefully wind surfing soon! ), eating all sorts of delicious fresh fruit from this beautiful valley, and reading a good book! Kate grew up in Bend, Oregon and later earned a degree in Biology from Southern Oregon University. Before medical school, she worked at an Indian Health Service Clinic in rural Washington, Planned Parenthood, and as a research assistant at OHSU. At OHSU she was an Oregon Rural Scholar. She knew she wanted to be a rural family medicine physician since beginning medical school. She has been a social justice advocate since high school and is committed to working with populations and peoples on the margins of society. Laura is a native of Montana and earned a bachelor’s degree in biology at the University of Santa Clara. She has taken the initiative to earn a master’s in public health during medical school as well. Laura has been interested in rural family medicine since a young age and was mentored by family practioners in rural Montana. She comes from a family of musicians and has been playing the harp since age 10. Some of her earliest exposures to health care were from playing harp at a nearby hospital or the hospice center—over the years, she’s taken that talent and continued to play the harp since in orchestras and ensembles! In her free time, Laura also enjoys hiking and baking, and, after being in New York, she’s excited to be in a place big enough to have a dog! Besides being fluent musically, Laura also speaks Spanish. Her career goal is to practice full spectrum family medicine in a rural community. Enrique is a native of Texas and New Mexico. He earned his bachelor’s degree at Mississippi College in Medical Sciences, where he was also awarded his school’s Gold Humanism Award. Enrique comes from a strong physician pedigree. When he was a boy growing up near the border of Texas and Mexico, his family told him stories of his physician grandfather who rode a horse and carriage throughout rural northern Mexico, treating the poor and underserved of their communities. Enrique is also a musician and has been playing classical guitar since age 16. He even has performed on the streets of New Orleans in the French Quarter raising funds to support charitable foundations. We were impressed with his sincerity and connection to his heritage. He is a native Spanish speaker and desires to become a rural family medical provider.